With postage costs becoming more and more expensive I have had to cut back on what I make and send off. Free post is fine but not many charities do this so I looked locally for anyone who wanted some knitted items. The Hospital has enough baby blankets and chemo hats so that was not an option so I called the Cat Protection League. 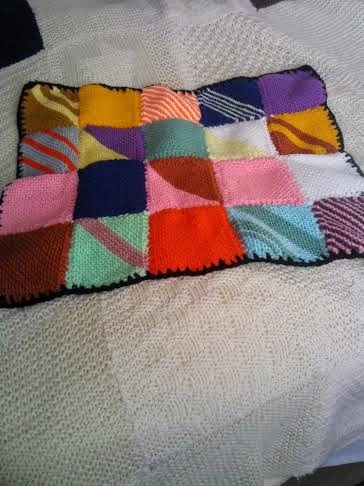 Yes they wanted blankets and knitted mice so my needles were back in action. 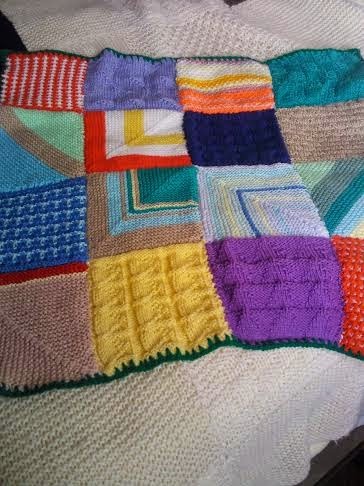 I have made 3 blankets all different sizes. 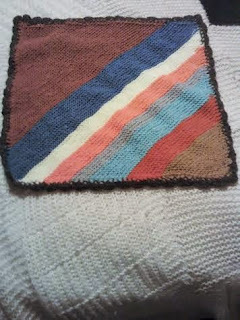 This one is 15 inches square and could be used for a kitten or in a cat carrying basket. Know all I need to do is make three mice to go with them and they will be ready for collection. That is a huge plus no postage as they are happy to come and collect them. I am slowly using up my stash and making something useful with it as well. I must look into this. Both my cats came from Cat Protection. It would be nice to give them some blankets....even better if they collect. I agree that postage costs are becoming a problem.